The iCD02 is an amazing all-in-one dual CD player and mixer system -- intuitive enough for beginning DJs, and powerful enough for pros. Gives you the power to turn your CD collection into the perfect mix for a party, mix tape, or workout jam. 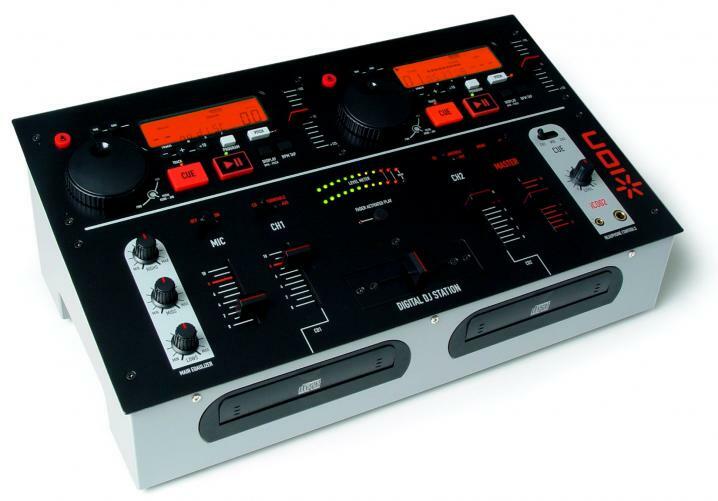 Comes complete with everything you need to start DJing like a pro.